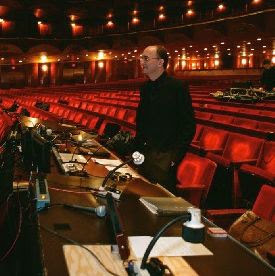 A Liberal's Libretto: Peter Gelb: the MET = "ungainly ship"
Peter Gelb: the MET = "ungainly ship"
...it is not unheard of in the past for productions to have come here sometimes for reasons that were beyond the artistic desires or plans of any of the people charged with the artistic supervision of this place. That will not happen with me. I’m not saying that I’m totally in command at every moment, but I am driving this ungainly ship. This quote comes from Anne Midgette's fascinating interview of the MET's Peter Gelb. It's an interesting read and I suggest you hop on over and give it a once (or twice) over.